Dr. Hratch Karamanoukian has been treating patients with hyperhidrosis since he finished his training as a cardiothoracic surgery in 1999. As such, the Center for Excessive Sweating is a National Center of Excellence for Hyperhidrosis. One of few centers in the United States that offers every treatment for hyperhidrosis. Dr. Karamanoukian also added expertise over the use to use Botox for the treatment of hyperhidrosis for the underarms, palms, feet, groin and other areas of troublesome hyperhidrosis (under breasts, chest, back, thighs). Botox is FDA approved for the treatment of hyperhidrosis of the underarms and is also used for craniofacial hyperhidrosis in our practice. 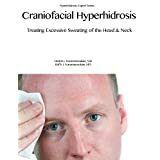 These patients have debilitating hyperhidrosis with dripping sweat from the face and scalp. Patients seek Dr. Karamanoukian from the NorthEast and have traveled from as far away as British Columbia, Canada, Saudi Arabia, California and Singapore for his expertise.